It’s Friday and it’s the weekend. Some folks at office seemed to be relaxed while the others are racing against the clock to meet the deadlines. But after all the work and play, it’s time for a perfect evening at the end of the day. People mostly tend to spend evenings dining out or unwinding themselves at a lounge. So just like every ‘IT Guy‘ it was time to head to a restaurant and bond with friends over food. 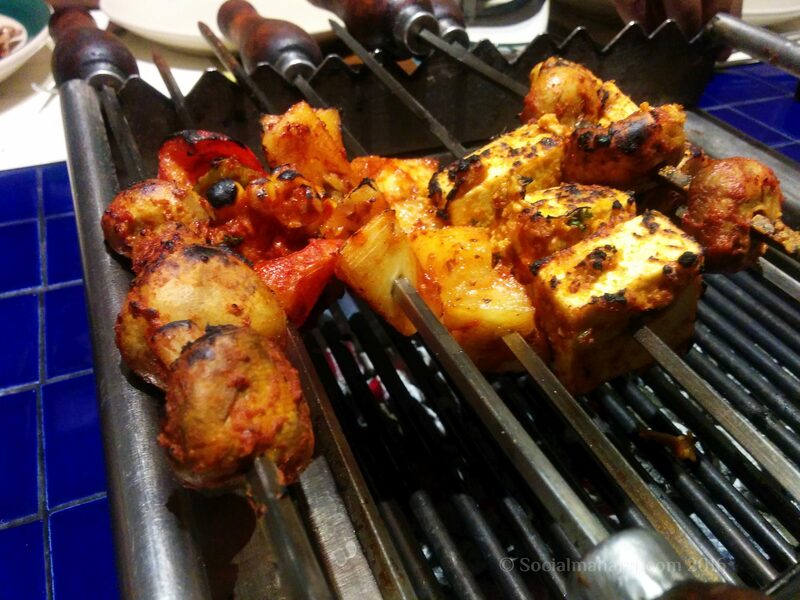 And this time around, we decided to go “Barbecuing” at Barbeque Nation. 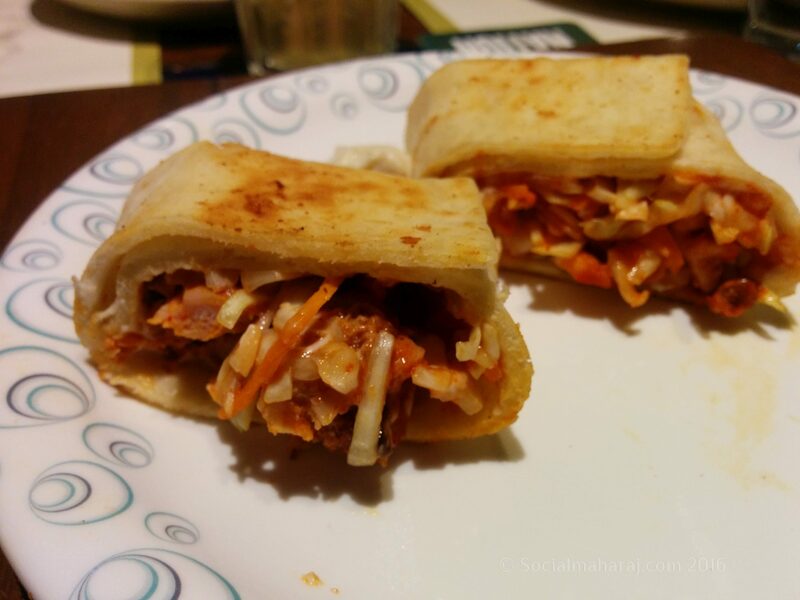 We went to the Barbeque Nation, Gachibowli outlet that is opposite to Wipro Capmus (Near Wipro Lake). Earlier had decided to go to Absolute Barbeque, but their table reservation facility wasn’t up to the mark. While on the other hand, folks at Barbeque Nation were quick to respond with a confirmed reservation. Being an Early Bird has its own benefits, and I always want those benefits 😉 Reached the restaurant by 7, so the early bird offer was on. The manager confirmed the reservation and guided us to the table. Soon a cheerful young man greeted us, and asked about our preferences – Veg or Non. Veg Buffet. We went ahead with a couple of Veg Buffets and a Non. Veg Buffet. Since we were early, we were given a complementary Welcome Drink. And since I don’t take aerated drinks, I ordered my goto drink – the Lemon Iced Tea. The guy was quick to respond and started with the starters – the barbecues. For vegetarians we had Paneer Peshawari Tikka, Cajun Spice Potato, Gulnar Kebab, Thai Grill Veg and Mushroom Satay. For Non Veg. there was Caribbean Chicken, Karachi Wings, Mutton Kebab, Fish and Prawns. Being a vegetarian, I would say the starters were pretty good but slightly on a ‘hotter‘ side. But the guy was considerate enough to get me kebabs that were low on spice. Kudos ! Soon we had the manager and the chef visited us taking feedback about the starters. Not to forget the ‘feedback sessions’ happened quite often, became irritating at times though. Nonetheless full marks for the hospitality. The ambiance of the restaurant is pretty nice, won’t say that it’s very spacious, but it isn’t small either. There were a couple of live counter service Shawrma, Jalebi and Kulfis that were right in the middle of the restaurant. However the area with the buffet was small, compared to the ones I’ve seen at other places like the Ohri’s Jiva Imperia. The salads were average I felt. 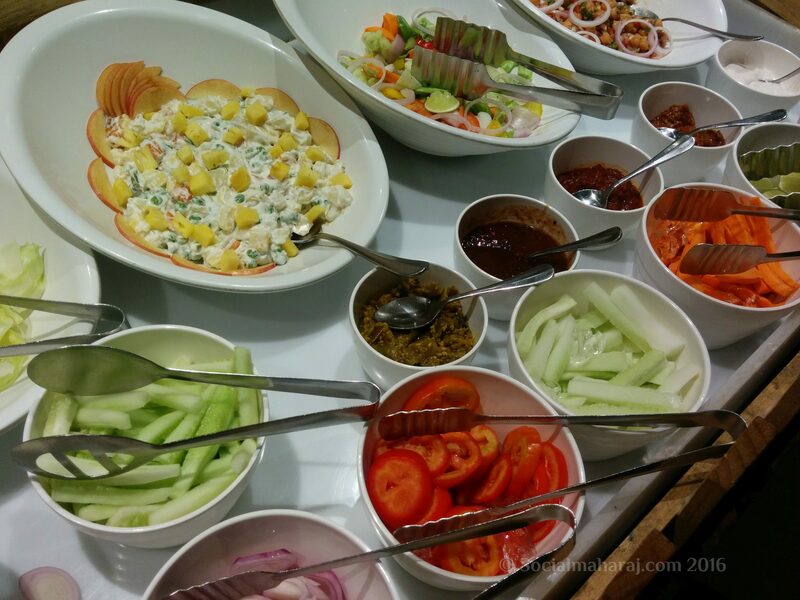 A Kabuli Chana salad, Russian salad, a mayo-based salad and separate bowls of veggies. Even the spread wasn’t great either. A couple for curries – Paneer Do Pyzaa, Palak Corn, Sham Savera Kofta, Aloo Mutter, Dal Makhni were for main course along side Steamed Rice, Veg. Biryani and the omnipresent Curd Rice. The dishes tasted average and were again a bit on the spicier side. 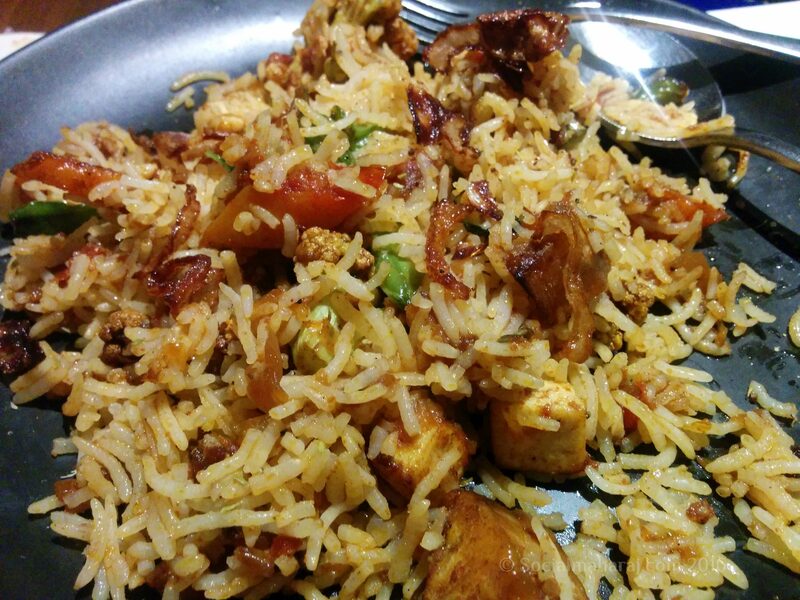 (Maybe it was spicy for me) But there were a lot of choices for Rotis – Tandoori Roti, Naan, Garlic Naans etc. These were served hot and tasted great. Moving on to the dessert. There were two variants of Ice creams, Gulab Jamun and Moong Dal Halwa. A typical dessert combo that you shall come across at most of the buffet places in Hyderabad. Apart from these, there were a variety of cakes including Swiss rolls. One thing I liked was that the cakes were marked Veg / Non Veg in case egg was used. Then there was the ‘unusual phirni‘ which tasted average too. Since I was too full, didn’t try the live Jalebi Counter. However tried the Kulfis – a pan kulfi as my friend insisted. The overall presentation of the Kulfi was nice but the taste was again average. Post the desserts, I asked the waiter that I wanted to see the kitchen. He asked us to wait for 15 mins as he served up another Kulfi with Falooda. And I was like, “Bhai please, ab kuch mat laana...” (Brother please, don’t get anything more) Soon we were taken on a ‘guided tour‘ of the kitchen by the Executive Chef at Barbeque Nation. We were handed our caps, and taken to the Kebab area. The placed was hot as expected. And we were surrounded with prawns, chicken, Paneer, Charcoal, Seeks and Tandoors. One of the things we learnt was that there were separate seekhs for Vegetarian and Non Vegetarian items. Once again Kudos to the team, never get to see this often. The kitchen was clean and very well maintained and everything was in place. 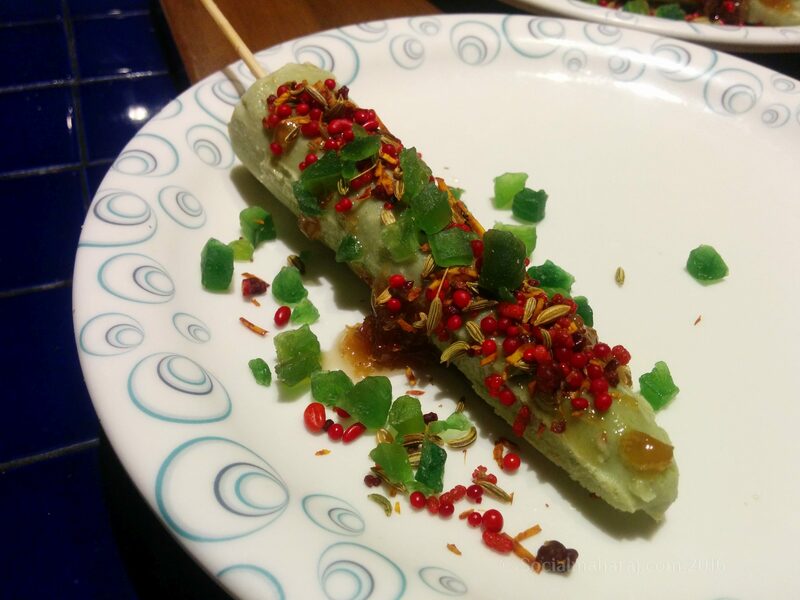 All in all, my experience at Barbeque Nation, Gachibowli was pretty good. Amazing starters and Welcome drinks stole the show, while the average main course and desserts filled up the remaining void. Moved by their hospitality and service, don’t get to see such service too often. I would recommend this place if you are looking for a good family dinner with good ambiance, good food and great hospitality.